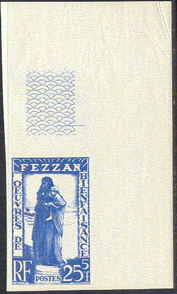 15870 ND FEZZAN (1950) Mother & child*. Corner imperforate. Scott No 2NB2, Yvert No 55.